Following the release of Vivo X27 and Vivo X27 Pro, the BBK owned company seems to be preparing a pair of entry-level devices with cheap price tags. 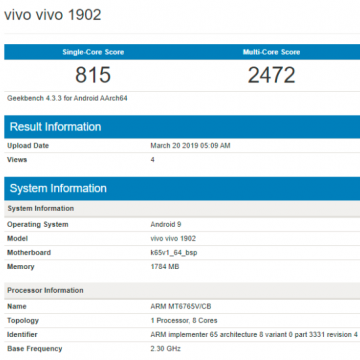 Two new devices have popped-out at the GeekBench database and they might be members of Vivo’s V-series or Y-series. 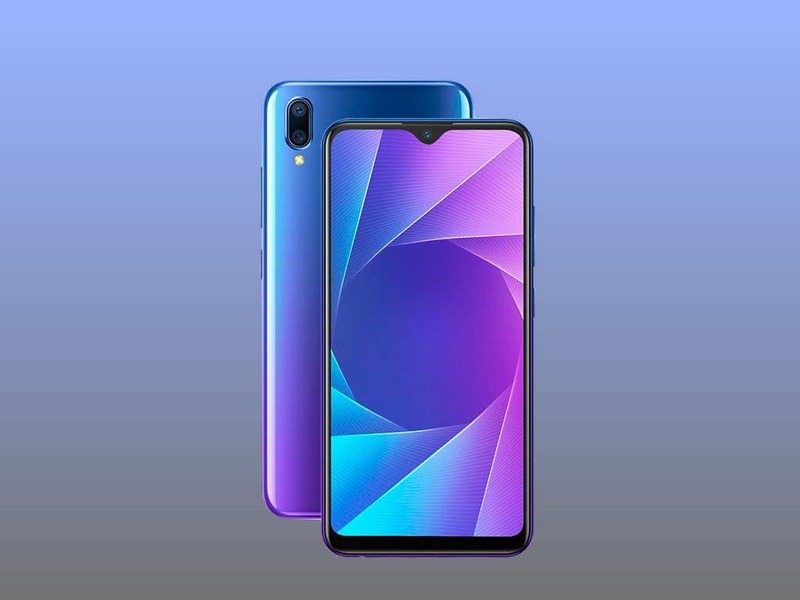 The Vivo 1902 is powered by the MediaTek’s MT6765V/CB Octa-Core chipset, also known as the Helio P35 processor, it scored 815 points in the single-core test and 2472 in the multi-core score. The device runs Android 9 Pie and has 2GB of RAM. 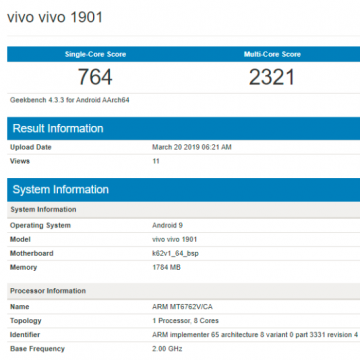 The Vivo 1901, is powered by MediaTek’s MT6762V/CA scoring 764 points in the single-core test and 2321 points in the multi-core test. Judging by the score, we believe that this chipset is, in fact, the MediaTek’s Helio A22 since the score matches with the score achieved by the Redmi 6A, which is also powered by the chipset. The Helio A22 is an entry-level chipset, that sits below the cost-effective Helio P22. Just like the Vivo 1902, this model also runs Android 9 Pie and has 2GB of RAM. Until the moment, the above results are everything that we know about these two mysterious handsets. The commercial names are yet to be revealed, and more details should emerge soon about launch and availability. Considering the overall specifications we believe that these handsets will be part of Vivo cost-effective V-series and or Y-series.